Back by popular demand, Sara Ashford will be leading three workshops on the Art of Victorian Flower Pounding at Culler Studio. 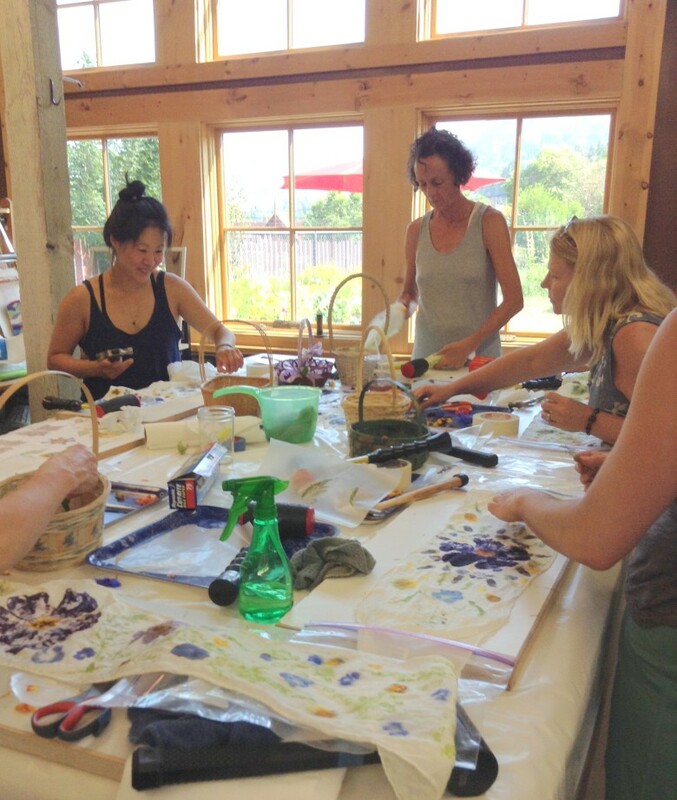 Turn fresh picked leaves and flowers from the Sara’s Natural Dye Garden into beautiful handmade scarfs and small wall pieces – no experience necessary! This workshop costs $55 per workshop. To reserve your spot call Sara or email cullerstudio@gmail.com. If you are unable to show up please let Sara know in advance as there is usually a waiting list for these workshops.